For much of the previous decade, you never went more than two years without a new Good Charlotte record. Whether you knew it or not, every two years twins Benji and Joel Madden were conspiring with their bandmates for a series of increasingly less asked-for pop-punk records. But, in 2006, something happened that threw the worlds of everyone who had come to expect an even-yeared Good Charlotte release off kilter. Good Morning Revival was postponed until 2007. Well, something must have clicked as, once again, fans (presumably) have been waiting for three years for a new full length from the tattoo-covered quintet. 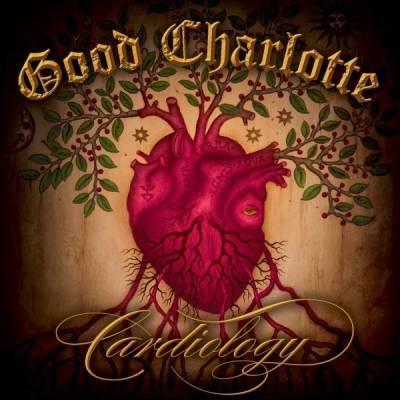 Back in 2008, Joel Madden essentially came right out and said Cardiology would sound like Blink 182 (which sounds a little like Oasis saying their next album would sound like Blur) and while that comparison is certainly apt on the shouted anthem “Let The Music Play”, Cardiology still sounds very distinctly like the Good Charlotte of those halcyon, album-every-two-years days. “Silver Screen Romance” in particular is a call back to their first name-dropping hit “Lifestyles of the Rich and Famous”. Speaking of Oasis, the song “Standing Ovation” must be part of some ingenious plot by the Maddens to test the Gallagher brother’s sense of irony. After all of the musical “appropriations” made in the past by Oasis, it would be pretty embarrassing for them to litigate against someone for ripping off their tunes – which Good Charlotte flagrantly do on “Standing Ovation”. I always read your blog, God bless you in your endeavors!